With the last Civilization V expansion,Gods & Kings, Firaxis managed to adjust the gameplay on a deep level without changing the feel of the game or making it any less accessible. 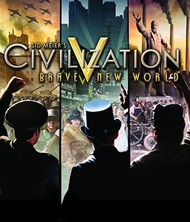 Remarkably, the famed developer has accomplished the same feat with Brave New World, the final expansion to one of the most revered--and controversial--strategy games of the last several years. Once again, players who haven't touched Civ V in a while might not even notice the difference at first. 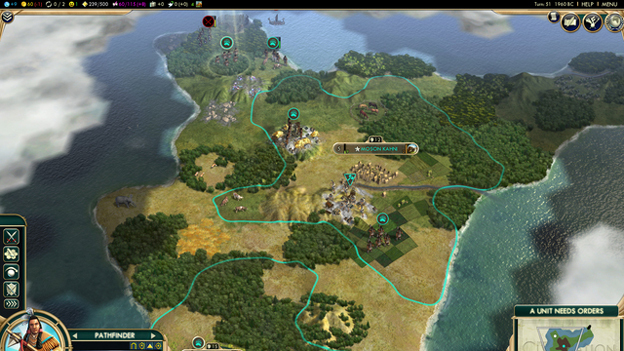 But as each game unfolds, it becomes clear that the expansion turns Civ V into a very different animal. 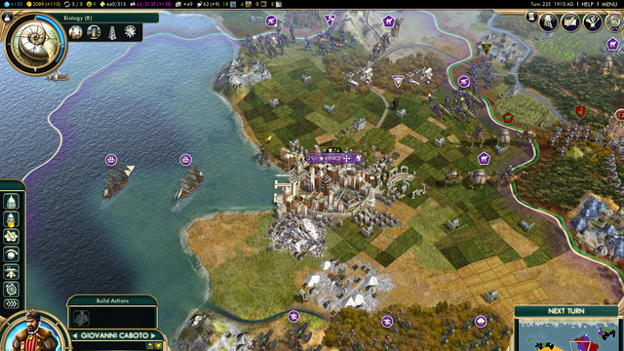 Like all strategy expansions, Civ V boasts a bunch of new units, playable societies, and other options. One of the more interesting units, for example, is the archaeologist, who can travel the world in search of interesting and influential finds. You'll also choose an "ideology" when you hit the industrial age--freedom, autocracy, or order. The nine new societies change the game in more dramatic ways. Venice, the most interesting addition, can generate tons of gold, but it can't create or annex other cities. The Shoshone are built for rapid territory expansion; each new city comes with much more land than normal. And the Zulus are gifted warriors, especially in the earlier stages of the game. All of that's great, but it's not what makes Brave New World worth the $30 asking price. Rather, a host of less-obvious adjustments can radically alter the way you approach the game. I'll be honest: I treat a game of Civilization the same way I treat a game of Risk. My goal is to crush opposing societies with everything from spears to advanced aircrafts, and while I'm happy to cooperate with other civilizations to some extent when I need to, my goal is always to take over the world. Until Brave New World, the non-violent routes to victory have been pretty much invisible to me. Those routes are a lot less fun, and frankly, they usually aren't implemented well, either. What's fascinating about Brave New World is that it makes you pay more attention to the bloodless side of the game without sabotaging the military-based route to victory. There are a whole host of changes that make culture, trade, and diplomacy a lot more fun to work with--and they also make the later stages of the game much more interesting. To pick just a few examples: Cultural victories have been overhauled--you now have many more options, in particular with archaeology and tourism, and you'll need to have an influence over the majority of other civilizations to win. The idea is to come up with the best cultural achievements, from artworks on display in your museums to musicians touring the world, and then use them to expand your sway over other countries. There's also a World Congress that begins after the advent of the printing press, in which delegates from civilizations and city-states vote on measures such as banning nuclear weapons and embargoing enemy societies. You can now build international trade routes and service them with caravans and cargo ships, too, instead of just reaching agreements with other civilizations. Not only are these routes a gold mine, but they also spread your cultural influence--and they present a risk-reward scenario, because routes to faraway places are more lucrative but also harder to defend. And the various trees have undergone tweaks that make different paths to victory much more interesting and distinctive.